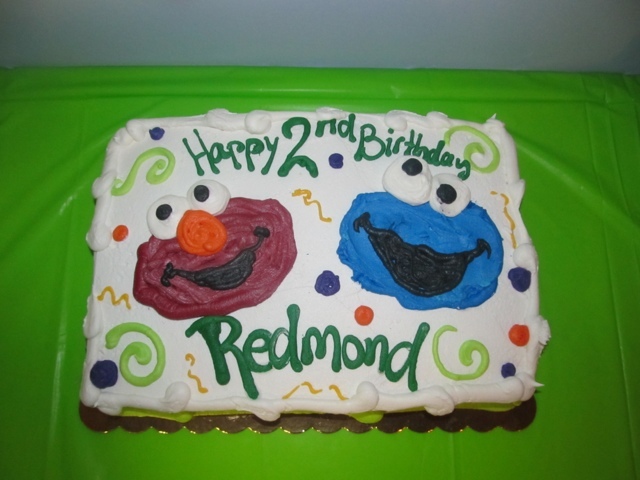 The Hayes Homestead: Redmond is TWO!! 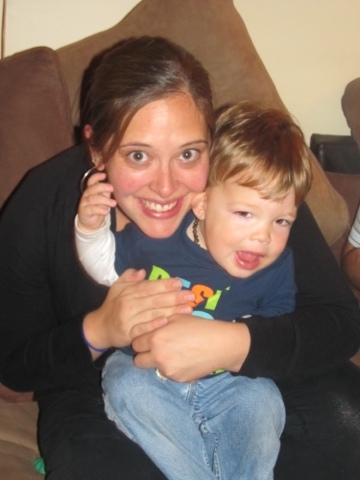 Hard to believe that my little man is two years old! It's also hard to believe that he's only been in our lives for two short years. 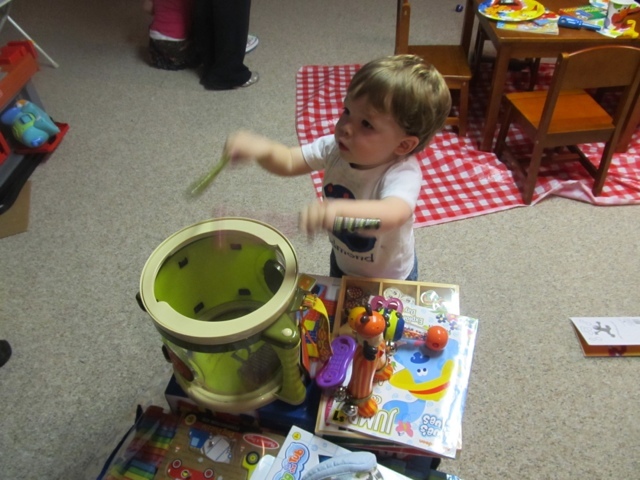 We had a small Sesame Street themed party for him this year - he got so much great stuff! So thankful for all the great people in his life! Still wasn't a fan of the cake. At one point he had three different pieces in front of him, but refused to take a bite. 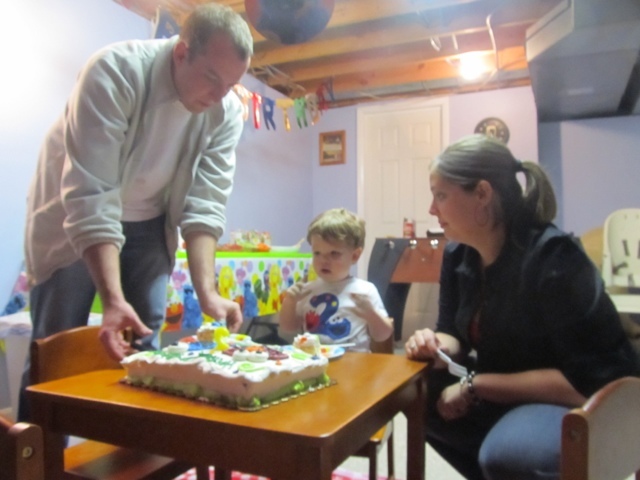 We were in Virginia for his actual birthday, so the lucky boy got two celebrations. 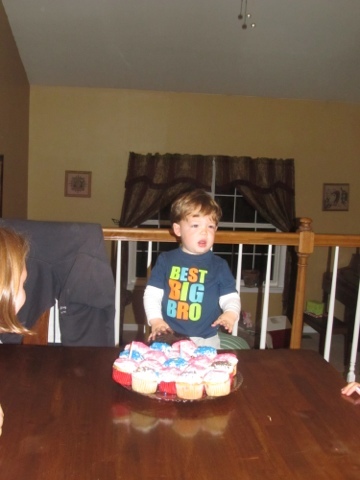 We had cake for him and his cousin Hannah at his Aunt Nicole's house on his actual birthday. 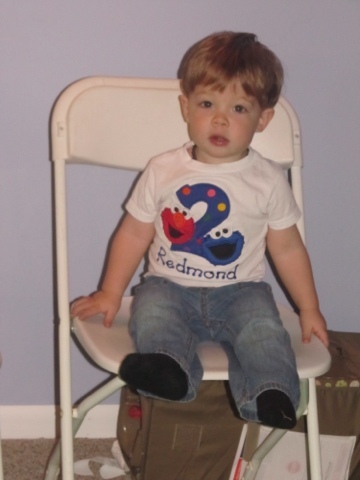 Redmond, you bring us so much joy every day! We love watching you grow and seeing you become a little man. You are such a little comedian and are a great big brother! You are really starting to love trains, cars and trucks. 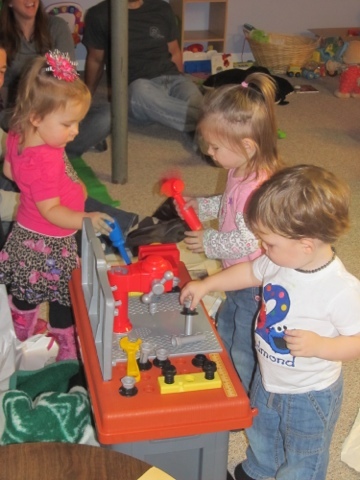 Building blocks and making things go "boom!" is also a favorite. You know at least ten colors and have for a few months. You recognize all the letters of the alphabet and we're working on singing the ABC song. If you're in the mood, you can count to at least seven (that's the highest daddy has gotten you to count). You love pointing out shapes - red octagons are your favorite :) Elmo, Barney and Blue's Clues are your favorite shows. You LOVE music and dancing - you ask mommy to play music on her iPad every morning while you drink your milk and she has her coffee. We go to Kindermusik and the library every week and you love them both. You have really become more comfortable in strange places and whenever you see strangers you look to daddy or I and say "nice people?" You're currently getting your canine teeth and two of your two year molars. Once these teeth come in you just have two more molars to go! Your favorite foods are "hot eggs", fruit, pizza, pb&j, pasta, bread, red peppers, cucumbers, cheese and pickles. I could go on and on about you Redmond. We love you so much and can't wait to watch you grow! Love you buddy! !